In recognition of their duty to enable all residents and visitors to enjoy historic wonder and cultural heritage to its fullest potential, several European cities have made a concerted effort to champion accessibility for those with reduced mobility. The cities of Chester (UK), Viborg (Denmark) and Luxembourg City (Luxembourg) have all taken noticeable steps in recent years to pioneer accessibility and have since been awarded for their triumphs with the Access City Awards, an EU initiative celebrating equal access cities. Although geographically distant, Chester, Viborg and Luxembourg City share a common appreciation for the preservation of cultural heritage and historical architecture. In addition, over the past decade, all three cities have been recognised for their endeavours to provide accessibility for all. Each city has successfully employed measures to transform transport systems for people with reduced mobility and to ensure enhanced accessibility. Through adapting approaches to the local context, these cities have ensured that history and accessibility can exist harmoniously. This case study presents the progress Chester, Viborg and Luxembourg City have made in establishing accessible cities, by discussing the measures in place and providing the results to date. With the aim of presenting best practice examples, which elicit equal access and retain the historical beauty of cities, the case study highlights ways to deliver accessibility for all – even in the most challenging of contexts. These cities have a rich history, dating back 2 000 years. Preserving this history, while improving access, is a challenge shared by all three cities. Increasing accessibility whilst respecting demographic, geographical and cultural contexts is of paramount importance. One of Denmark’s oldest cities, Viborg lies on a ridge surrounded by several lakes and mountains. The literal translation is ‘holy mountain’ and Viborg dates back to 900 BC and gained city status over a 1000 years ago. Over the centuries, the ancient cobbled streets, historical buildings and narrow thoroughfares have been preserved with great care. 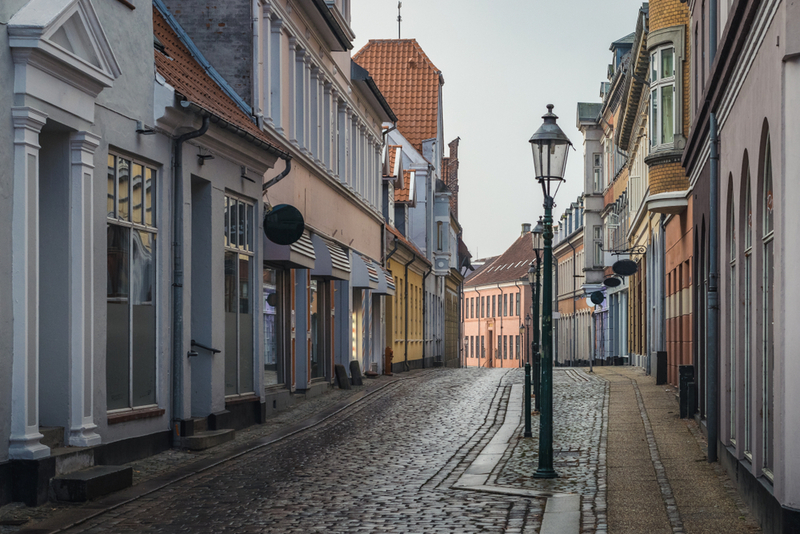 With a population that now exceeds 50 000, Viborg faces a conflict between preserving the city’s historical features and catering for the needs of present day residents. 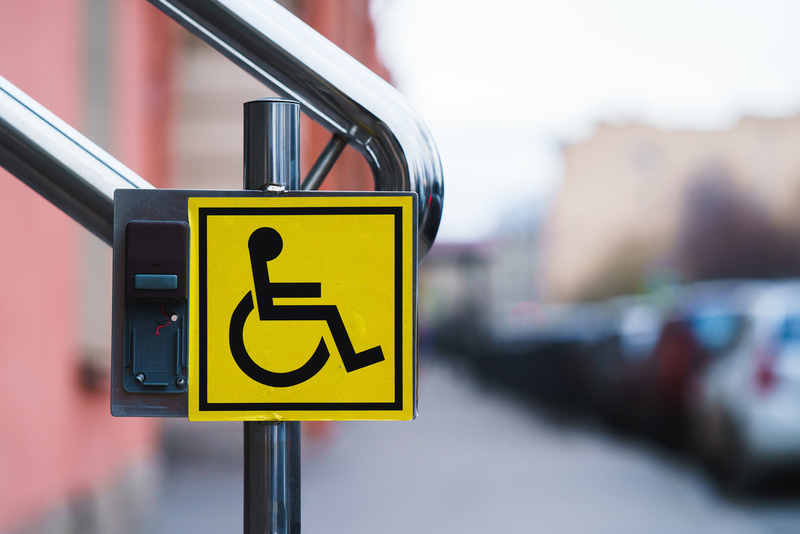 The existence of these cultural features makes access to the city a challenge for individuals with reduced mobility, and this has encouraged Viborg to rethink mobility management in recent years. Chester is situated in the northwest region of England and dates back to the 1st century AD. 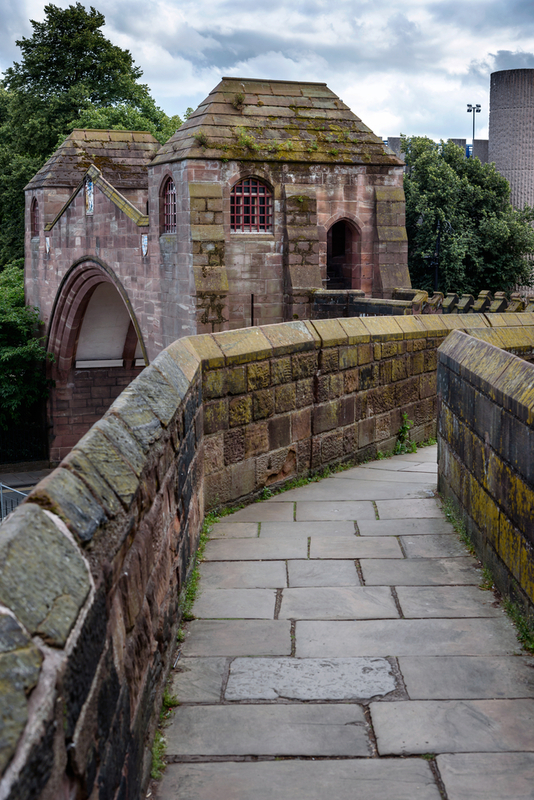 Chester is recognised for its Roman, Saxon and medieval walls, which total 3.2 km and extend throughout the city. It is also renowned for its unique elevated walkways, the ‘Rows’, which run one level above the main streets. The population of Chester and the surrounding region exceeds 329 000, with a significant 18 % of the population living with a disability. Furthermore, 21 % of the population is over the age of 65. Therefore, the need to ensure accessibility and provide transport for people with reduced mobility is of great importance to the city administration. Luxembourg City also has its origins in the 1st century AD and is home to over 115 000 people. The city comprises narrow streets that are built on steep slopes, making it difficult terrain for travellers with reduced mobility. 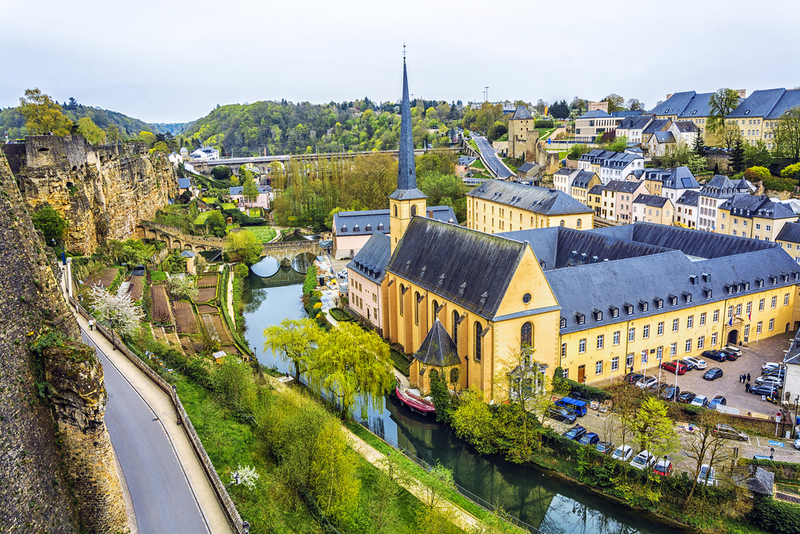 In response, over the past decade, Luxembourg City has become dedicated to building a city that is accessible to older people and individuals with disabilities, while retaining its historical beauty and integrity. Viborg’s commitment to equal access was initiated with the project ‘Accessibility in a historical city centre – new ways to enhance cultural heritage in Viborg’, delivered by city officials in Denmark over the course of six years. The project aimed to show how improvements in the accessibility of transport infrastructure could enhance the appeal of a city, attract more tourists and maintain the cultural heritage of the city. The success of the project was largely due to the introduction of a new law (the Labour Market Holiday Fund), and the creation of a strong public-private partnership consisting of four organisations - Realdania, the Bevica Foundation, the Danish Disability Foundation and the Viborg city administration. The organisations came together with a shared vision in mind: to improve accessibility through a combination of physical measures. This vision was supported by a communications strategy, which highlighted the need to alter the way cities operate. Communication formed a significant part of the project, as the project partners placed great emphasis on driving innovation and catalysing accessibility programmes across Europe. The project was publicised through a website and other online channels. In addition, an app, ‘Spot Viborg’, was developed to assist individuals in locating accessible walks and to provide audible stories about Viborg’s history. The ‘Spot Viborg’ app provides users with three potential routes around the city. It uses the Global Positioning System (GPS) to highlight necessary amenities, such as public toilets and car parks, and lists a number of key attractions for visitors. It is available in English, German and Danish. Furthermore, a 3D model of the city was generated to enable people with visual impairments to gain access to a detailed account of the city, which is provided in text and in braille. Viborg adopted a Disability Policy in 2009, drawing on workshop feedback from local residents, organisations for people with disabilities and city officials. In addition, Viborg benefited from advice from the Disability Council on plans for new infrastructure projects. As well as the project partners, the project was influenced by leaders in the field of accessibility, a group of local residents, accessibility experts and individuals from the local trade association. The culmination of local knowledge, alongside experts in accessibility, facilitated the success of the project, enhancing Viborg’s equal access while enabling individuals to learn about the history of the city. Due to its cobbled terrain and ageing population, Chester’s plans for accessibility date back many decades. Recently, these plans have come to fruition as Chester launched a plan that aimed to ensure the city’s history would be available to all. Over many years, the city has introduced a total of 11 ramps at various locations to enable access to historical features. In areas where construction of a ramp was not feasible due to the need to protect historic heritage, other features have been introduced to enhance access, such as tactile paving and additional handrails. Chester is home to 129 fully accessible buses and a dial-a-ride scheme that offers transport to those lacking the capacity to use conventional transport systems. Furthermore, all taxis in the city are required to be wheelchair accessible. In addition to direct transport measures, the city also offers designated disabled parking spaces and runs a scheme that enables individuals with reduced mobility to hire a wheelchair or scooter to gain access to shopping areas. In addition to these measures, Chester has also introduced a range of induction loops and colour-contrasted grab handles, which have highlighted the city’s commitment to equal access. All sections of the ‘Rows’, Chester’s unique elevated walkways, have been made accessible, enabling individuals to enjoy all levels of shopping. Areas of access around the city are presented in a dedicated leaflet. In addition, to improve access for individuals with disabilities, who require tailored facilities to enable them to remain in the city for longer periods of time, four ‘Changing Places’ units have been installed. These are more spacious than the typical bathroom facilities designed for people with additional needs, and include showers, hoists and changing beds. This has enabled residents who would have previously returned home during the day to use specialist facilities, to enjoy full day trips in the city without interruption. The units also encourage individuals travelling from further afield to make the trip, knowing that accessible facilities are available. Chester has implemented the ‘One City Plan’, which aims to foster change and ensure accessibility is placed at the heart of Chester’s regeneration over the next 15 years. This is already evident through new projects, such as the Storyhouse, an accessible cultural centre that includes a theatre, cinema, library and several restaurants. Over the past decade, Luxembourg City has improved accessibility by implementing a plan based on the UN Convention on the Rights of Persons with Disabilities. It draws on the concept of ‘specific needs’, rather than focusing on an individual’s disability. The city administration aims to enhance accessibility by ensuring that everyone living within the city walls has the ability to live and travel with ease. Two of the measures include the introduction of audible signals at crossings and the introduction of buses with low flooring to enhance access for wheelchair users. There is also a minibus service that transports people from their homes into the city and offers a discounted fare for wheelchair users. In addition to physical measures, Luxembourg City promotes accessibility by running awareness-raising weeks. These involve an ‘Inclusion Gala’, featuring performers with disabilities, and a yearly Mobility Week. Measures have also been introduced to make Luxembourg City’s polling stations, tourist attractions and public buildings as accessible as possible. All government departments are involved in delivering accessibility, which is funded entirely by Luxembourg City. In addition, all council meetings are translated into sign language. The local government is also dedicated to improving employment opportunities for people with disabilities, with a department dedicated to offering advice to employed individuals with disabilities. Luxembourg City draws on the use of technology to promote accessibility. In 2017, the city administration launched a website that can be used by individuals with visual impairments using screen readers. The Communications Department aims to make all online content accessible for individuals with visual impairments. Finally, Luxembourg City has released ‘iBeacon’, an app providing information on bus arrivals at bus stops for individuals with visual impairments, tourists and public transport users in general. All three cities have successfully implemented measures to enhance the accessibility of transport and the ease of movement around cities for people with reduced mobility. The cities have been adapted, while limiting the impact on the historical features that have cultural significance. Rather, through making the historical areas more accessible, they have become more widely appreciated by stakeholder groups, enabling history to live on through the shared experiences of visitors. Viborg’s selection of measures not only enhances access for individuals facing physical difficulties, but also improves accessibility for individuals with visual impairments. Chester’s transport measures, alongside enhancing access to the ‘Rows’, have enabled residents and tourists alike to appreciate the intricacies of the city. Luxembourg City has championed the tools of communication, promoting the importance of accessibility by using technology. All three cities have combined enhancements in physical infrastructure with softer communication and technology measures to ensure that accessibility in all areas of city life has been improved. The commitment displayed by Viborg, Chester and Luxembourg City highlights best practice approaches to accessibility, enabling wider, more diverse groups of individuals to gain access to the cities. It is essential for other EU cities to take note and learn from the simple and more complex measures that have been employed by these cities to enable all residents and visitors to engage in all aspects of city life. Chester, Viborg and Luxembourg City shared the challenge of improving accessibility, while retaining the architectural heritage of the cities. Indeed, years of planning were necessary to ensure that the measures enhanced accessibility in an effective manner and had minimal impact on architecture. In all three cases, city officials and partner organisations have recognised that enhanced accessibility provided an opportunity to create cities that all members of society can appreciate. Through their efforts, they effectively transformed cultural heritage into a resource. In addition, city-level action has been effective, with minimal state-level involvement, highlighting the potential for cities to take action to improve access. By employing measures that adhere to the preservation of historical landmarks and that take advantage of the power of technology, innovation and communication to ensure accessible transport, history and culture for all, the three cities provide best practice case studies for use by other EU cities. The coherent plans implemented by the cities are transferable to other European cities as measures to enhance accessibility even in cases where stringent planning permissions are required. These three examples, alongside those of past winners of the Access City Awards, should inspire cities around the world to ensure that a wider share of society can appreciate all that a city has to offer. For more information, the Access City Awards scheme has produced brochures highlighting the reasons why Viborg, Chester and Luxembourg City won their awards. The 2018 summary details the best practice employed by Luxembourg City and Viborg, alongside the other 2018 award winners. The 2017 summary offers the best practice measures undertaken by Chester and the other 2017 award winners.